Rueda is an appellation of origin. 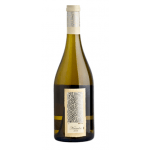 Its production area is located in Castile and Leon, specifically in the provinces of Valladolid, Segovia and Avila. The three provinces share a continental climate with an annual average temperature of 12ºC and an average precipitation of 460 mm per year. The average altitude in which the vineyards in Valladolid and Avila are is 750 meters above sea level. However, in Segovia there are some areas of vineyards whose average altitude is 850 meters above sea level. 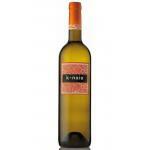 Currently, the white varieties allowed in Rueda wines are: Verdejo, Sauvignon Blanc, Viura and Palomino Fino. As for the red varieties allowed, they are the following: Tempranillo, Cabernet Sauvignon, Merlot and Grenache. 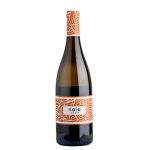 The Verdejo variety is the most popular of all in the Denomination of Origin Rueda; Its production represents practically 70% of the white grape collected in the D.O. Rueda. Currently, there is even an enotourism route across several wineries and production centres established within the Denomination of white wine of Rueda. Rueda is the oldest wine denomination of origin in Castile and Leon, since it was created in the year 1980. 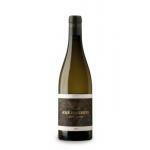 At that time, it was limited solely and exclusively to the production of white wines. Subsequently, since 1994 the inclusion of rosé and red wines in the denomination of origin is allowed. However, this DO continues to be associated with white wines. The three provinces of Castile and Leon have a great wine tradition. There are testimonies that confirm that there has been cultivation of vines since the Middle Ages. In the fifteenth and sixteenth centuries the best known wines were the “dorados”, which were aged for a period of 10 years. The biggest wine crisis came in the twentieth century. The area of ​​vineyards in the three provinces exceeded 90,000 hectares. However, there was a great attack of phylloxera, a disease of the vine caused by an insect, and the surface was greatly reduced. In addition, the cultivation of other crops, such as wheat, were more profitable.